The 21st century used to seem like an incredible and distant future. It was something you would read about in science fiction books. Now that we live in an era where much of that fantasy has become a reality, we can appreciate the technological leap we have taken in less than half a century. We are very lucky to witness incredible progress in medical science and, best of all, have access to these novel treatments. Many areas of medicine have changed a lot over the course of time. Look at all the imaging tools we use for proper diagnostics and the new non-invasive ways of surgery. And there’s more to come, as there are still many conditions that rely on assistive therapy for partial rehabilitation rather than a complete cure. Case in point, hearing loss. Hearing loss may seem to be a very simple condition—partial or complete inability to hear. But there are many types of hearing loss and many reasons why it occurs. 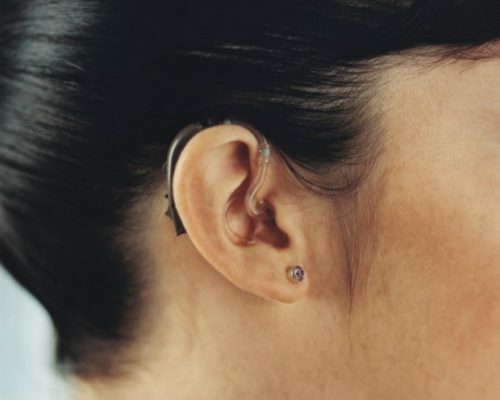 People of all ages are susceptible to hearing impairments, which can be preprogrammed in our genes, developed as a side effect of a disease, or occur suddenly. The problem can originate in different malfunctioning parts of the inner ear or can simply be caused by aging or exposure to loud sounds. Whatever the reason, hearing loss is often irreversible. To date, hearing aids and implants are still the only tools we have at our disposal. Studies are underway, looking at possible drug combinations as a possible treatment. Doctors are investigating how different conditions induce hearing loss and are looking for ways to reverse these mechanisms. And the most recent research advancements look like they’ve come right from the pages of those sci-fi books. We’re talking about gene therapy. One of the first test applications of gene therapy took place in 2005 on guinea pigs. The treatment aimed to activate the regrowth of hair cells responsible for hearing. Three years later, the researchers tested a similar method on mice. They performed in utero Atoh1 gene transfer to trigger the regrowth of functional auditory cells. This little experiment proved that certain gene alterations can indeed produce sensory cells in the cochlea of animals. A more recent study explored the possibility of curing genetic hearing loss. The scientists could restore the hearing function in mice through manipulation of the transmembrane channel involved in sound sensing and processing. And now, after all these trials, the Department of Otolaryngology – Head and Neck Surgery at Columbia University is spearheading one of the first trials of gene therapy for treating hearing loss in humans. The researchers are testing a drug containing a gene that is involved in cellular regeneration. Concurrently, there are a host of studies on stem cells ability to boost the growth of new auditory cells and repair damaged ones. True, it may take a while for science to develop a working strategy to reverse hearing loss, but all these studies give hope that we will see these new treatments in our lifetime.